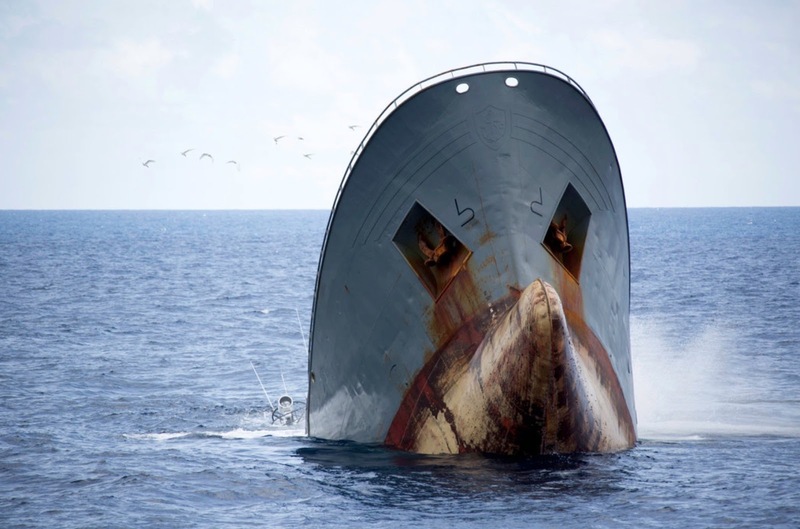 After a 10,000 chase The Sea Shepherd's Bob Barker pushed this illegal comercial fishing ship to its spectacular end when the crew scuttled it. New York Times recently made an interesting report on this chase. What I love is this image taken before its rapid sinking just 400 miles off South Africa.